Pogba appeared on the cusp of leaving United under the reign of ex-boss Jose Mourinho but he has since found a new lease of life with Ole Gunnar Solskjaer at the helm. Despite this, the speculation regarding his future has refused to cease and according to Tuttosport, the Bianconeri remain determined to lure the Frenchman back to Turin. It is added that the desperation may witness them include Miralem Pjanic as a makeweight in any proposed move for the World Cup winner, who has contributed four goals and three assists under Ole's guidance. 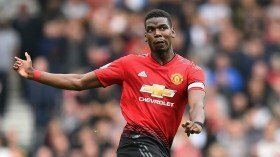 Pogba is currently contracted to the Red Devils until the summer of 2021 and so far, the club have not shown any intention of extending his deal, though their stance could change in the forthcoming months.